The company "Votivo Sacred Furnishings" was born in the 90s and it was created by Bruno Geroni. Thinking about the future he develops and patents his idea: to produce and to sell votive candles, candlesticks and electric church-candles holders, maintaining the tradition to turn on the candle or the church candle in a simple way: with gestures. This led to a highly dynamic company. While maintaining the best features of a craft company, it can develop a wide range of innovative products in safety and in the quality of materials. Among the products made there are candlesticks and candle-holders, but also church offering boxes, closet exhibitors good print and much more. 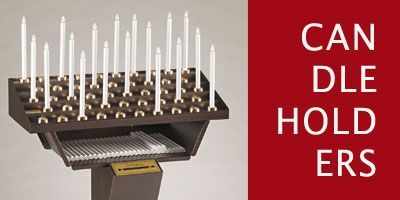 The range of services is completed with the possible conversion of existing candlesticks, special processes tailored along with a set services: such as spare light bulbs - candles – church-candles- exchange replacements. 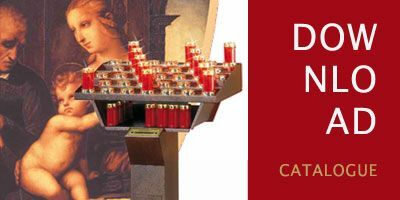 Our votive candleholders eliminate the wax burned with everything negative that its combustion produces: smoke, the intense and acred smell, fine particles and, above all, the negative effects on frescoes and paintings that the wax smoke produces. 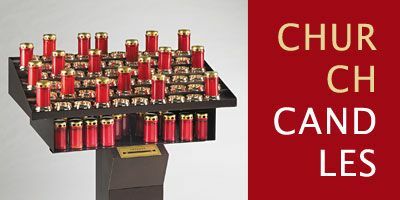 In addition, and not insignificant, replacing the flame of the candles and the church-candleswith an electric bulb neutralizes the risk of fire. The operation of our chandeliers still retains the classic and typical gesture of turning on a candle in a church: to take candles from the compartment under the candlestick, to place it in one of the empty compartments, preserving a kind of memory of tradition and allowing the votive candleholder a less cold impact on the faithful. The faithfuls do certain gestures to make that little vote which is the meaning of "to light a candle in a temple". The safety lighting with patented system and low voltage operation, in line with the rules in force. 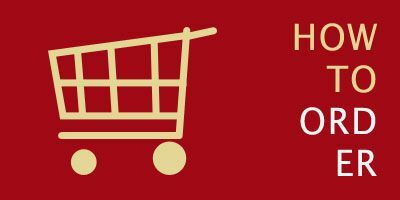 The system allows cheap costs: 0.03 cents every 24 hours with all the candles lit (nothing compared to the costs of traditional wax candles). 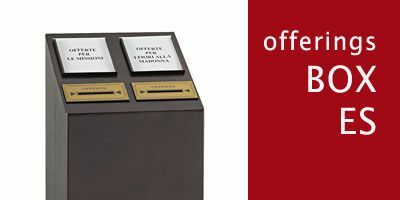 The Votivo Sacred Furnishing offers a simple and elegant product, designed for long life, refined in different versions, specifically designed to be suitable for all types of Churches. 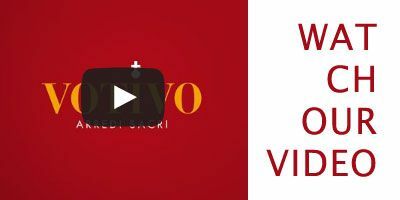 The enthusiasm for their work, the seriousness and the always demonstrated great professionalism, has enabled the company "Votivo Sacred Furnishings" to establish itself among the market leaders, marketing its products throughout Italy and abroad.